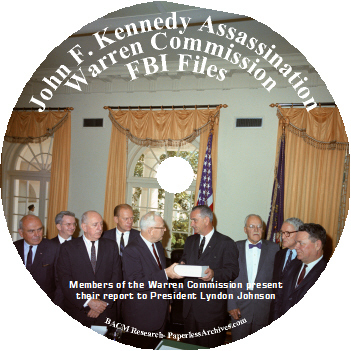 8,155 pages of internal FBI files covering the Bureau's interactions with the President's Commission on the Assassination of President Kennedy, commonly called the Warren Commission. 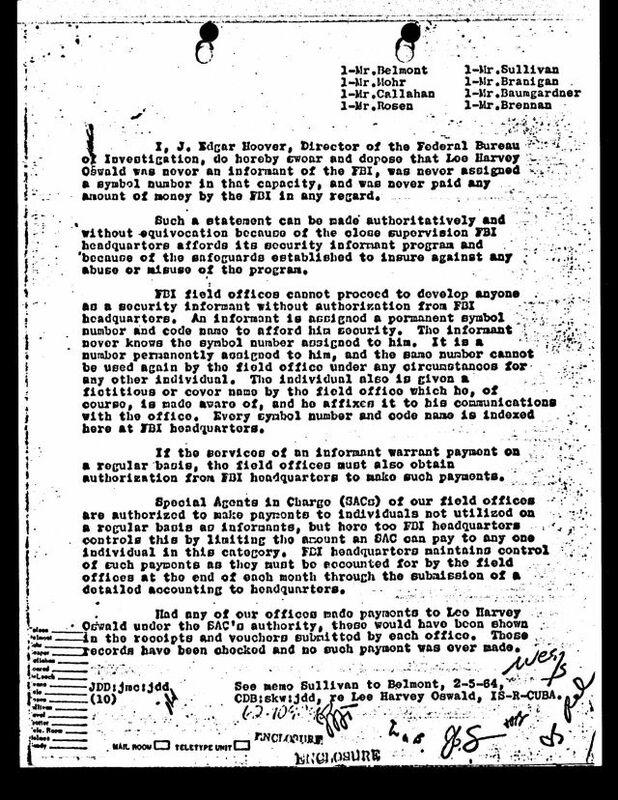 These sets of documents are from the FBI headquarters file serial number 62-109060. 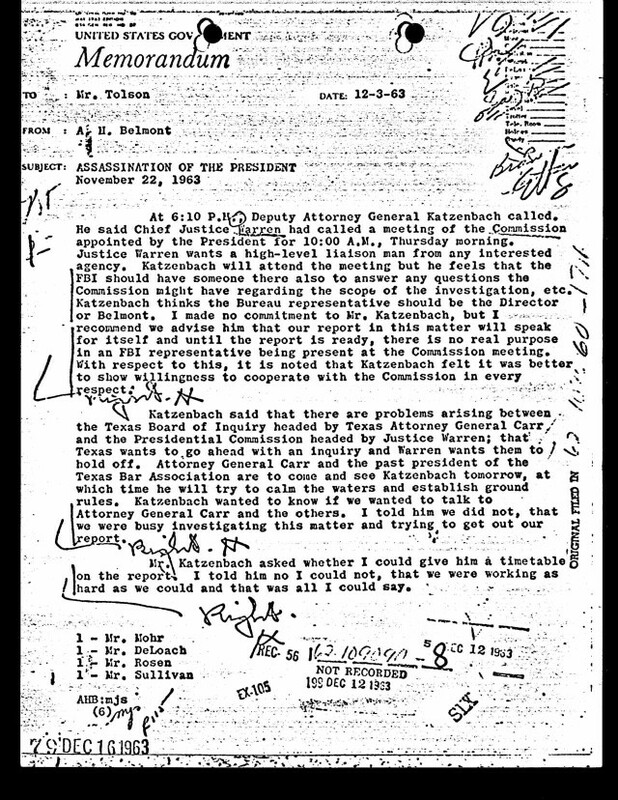 They record the interaction between the FBI and members of the Warren Commission. 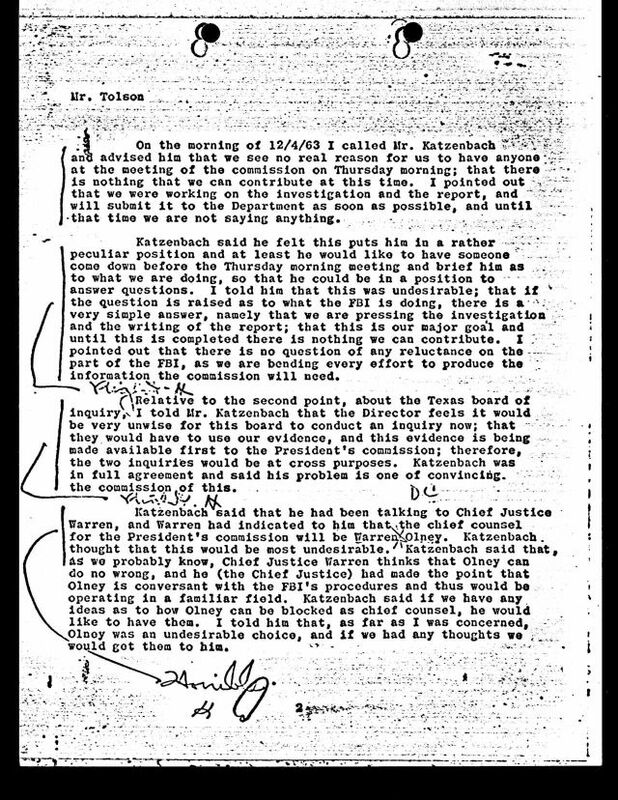 They document the work performed by the FBI at the request of the Warren Commission. President Johnson appointed the Warren Commission on November 29, 1963, to investigate the assassination of President Kennedy on November 22, 1963, at Dallas, Texas. 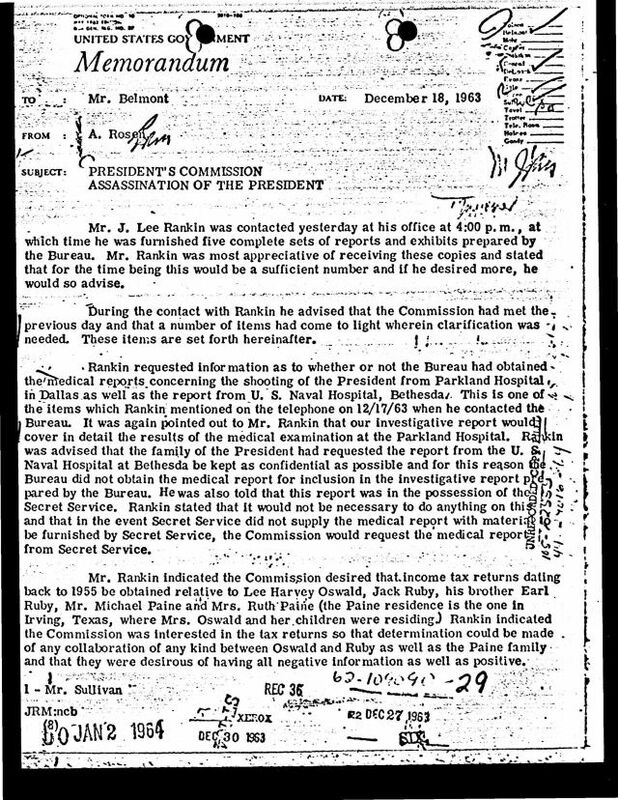 President Johnson directed the Commission to evaluate matters relating to the assassination and the subsequent killing of the alleged assassin, and to report its findings and conclusions to him. 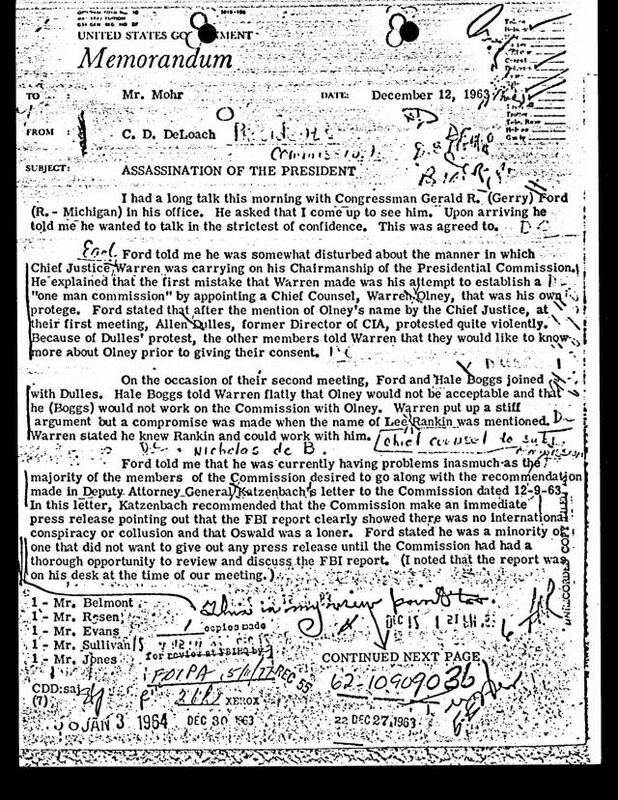 Earl Warren, Chief Justice of the United States; Richard B. Russell, Democratic Senator from Georgia and chairman of the Senate Armed Services Committee; John Sherman Cooper, Republican Senator from Kentucky; Hale Boggs, Democratic Representative from Louisiana and majority whip in the House of Representatives; Gerald R. Ford, Republican Representative from Michigan; Allen W. Dulles, lawyer and former Director of the Central Intelligence Agency; John J. McCloy, lawyer, former President of the International Bank for Reconstruction and Development, and former United States High Commissioner for Germany. The Commission acted promptly to obtain a staff to meet its needs. J. Lee Rankin, former Solicitor General of the United States, was sworn in as general counsel for the Commission on December 16, 1963. He was aided in his work by 14 assistant counsels who were divided into teams to deal with the various subject areas of the investigation. The Commission was also assisted by lawyers, Internal Revenue Service agents, a senior historian, an editor, and secretarial and administrative personnel who were assigned to the Commission by Federal agencies at its request. 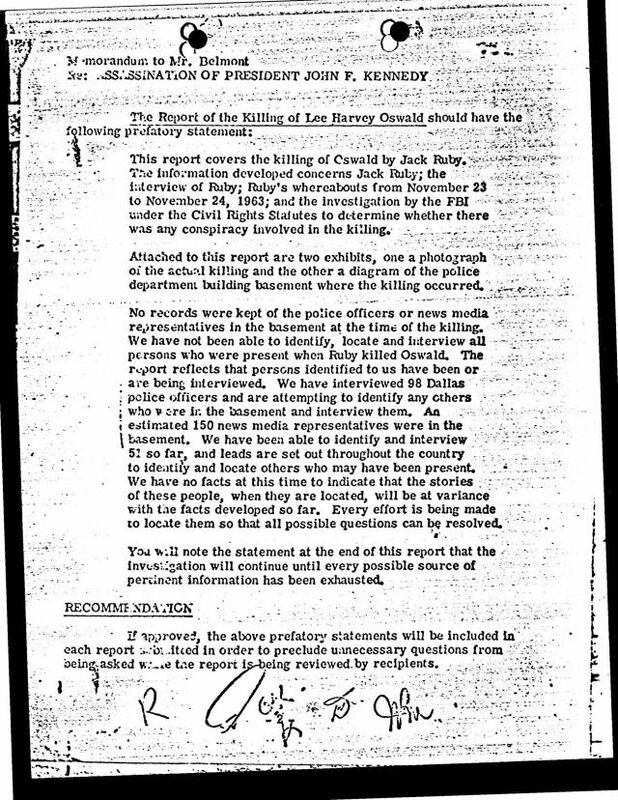 In 1978 the United States House of Representatives Select Committee on Assassinations released its report. 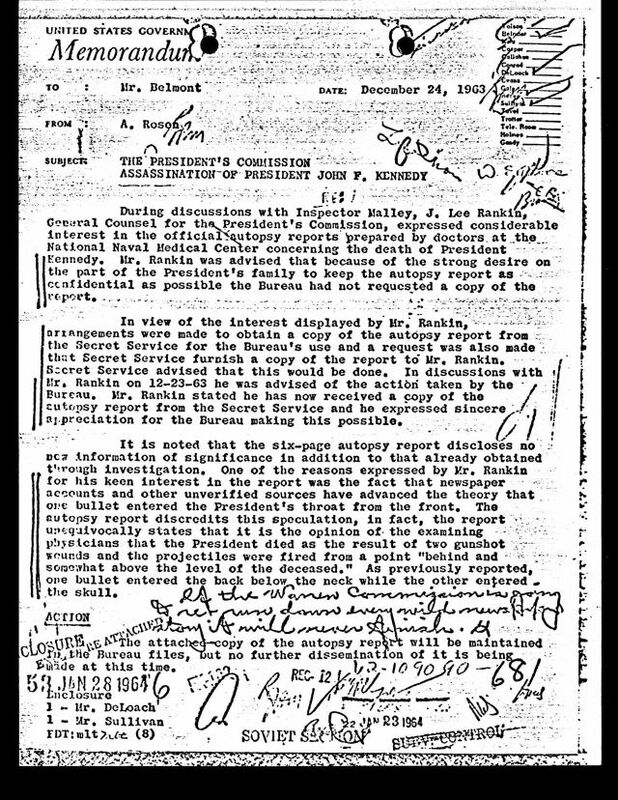 The report made conclusions about the work of the President's Commission on the Assassination of President John F. Kennedy (Warren Commission). 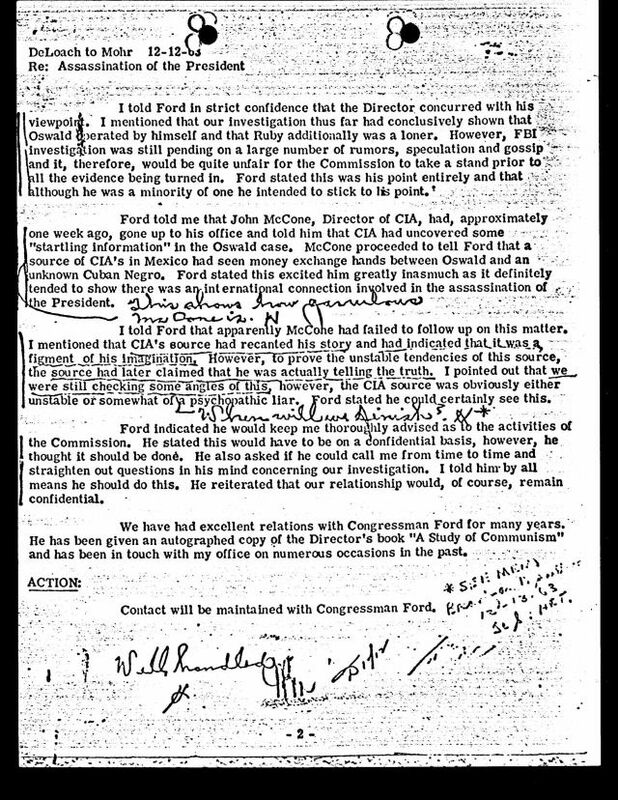 It reported that it found that: "The Warren Commission performed with varying degrees of competency in the fulfillment of its duties. The Warren Commission conducted a thorough and professional investigation into the responsibility of Lee Harvey Oswald for the assassination. 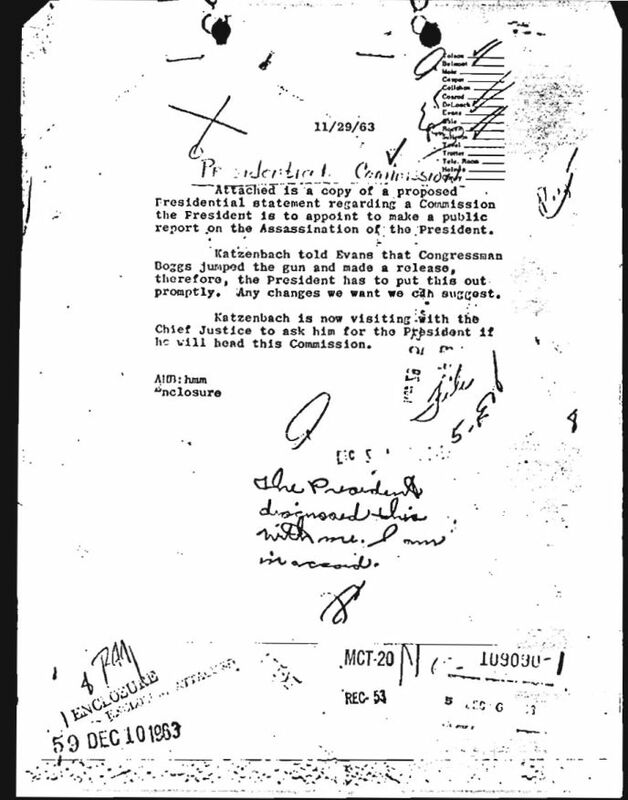 The Warren Commission failed to investigate adequately the possibility of a conspiracy to assassinate the President. This deficiency was attributable in part to the failure of the Commission to receive all the relevant information that was in the possession of other agencies and departments of the Government. The Warren Commission arrived at its conclusions, based on the evidence available to it, in good faith. The Warren Commission presented the conclusions in its report in a fashion that was too definitive."